GVL/Jose Rodriguez Delta Upsilon Fraternity tabled for their annual Bows From Bros event. 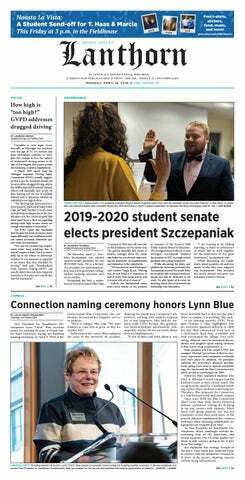 The Kirkhof Center has welcomed a bit of femininity this week, as a Grand Valley State University fraternity sold bows to spread awareness of sexual abuse. Delta Upsilon is currently hosting their second annual “Bows from Bros” fundraiser to benefit the local YWCA in Grand Rapids. This year, the fraternity has put a competitive twist on the donation aspect of the campaign. They will donate half of their overall proceeds to a charity or the nonprofit that an organization that buys the most bows during the week chooses. The organization can be any on campus, as all are encouraged by the fraternity to help out with proceeds toward the fundraiser. When a bow purchase is made, a tally of the organization that the purchaser is a part of will be marked. Despite student organization encouragement, ultimately any student, staff or faculty can purchase a bow. Last year, the fraternity donated to their international philanthropy, Global Service Initiative. The brothers decided to donate proceeds toward a different need this year. Zach Jordan, vice president of external relations for Delta Upsilon, agreed. He said that with mostly women buying the bows, hopefully they will understand that the fraternity stands against sexual abuse. “It’s going for a good cause,” Jordan said. The idea for this year’s fundraiser came from one of DU’s brothers during a brainstorm meeting. The fraternity wanted to raise funds, but at the same time get people involved in more than just donating money. They hope to continue that tradition of helping others. After introducing the event last year and receiving over $500 that they were able to donate, the brothers looked back, improved what they could and decided to aim even higher with a goal of $1,000. With different colors and patterns of bows available, the fraternity is aiming at catering to all tastes. There will be many colors to pick from that are rotating throughout the week as different colors sell out. While they won’t take specific orders, Jordan said they will take color requests and consider those when buying more colors once they start to sell out. Most of the bows will be made prior to the event, but some brothers will create bows at the table to show how they make them. Delta Upsilon has been tabling in Kirkhof since Monday and will continue to do so throughout the week. Thursday, the brothers will have a table from 4 p.m. to 6 p.m. and Friday from 2 p.m. to 4 p.m.